If you have been seriously injured or have lost a loved one due to someone else's negligence, we can help. During the last 35 years, we have developed a track record of success as advocates for our clients against the insurance companies. The results of a case depend upon a variety of factors unique to that case. While the case results presented below do not guarantee or predict a similar result in any future case, our track record as advocates for our clients is strong. Here are some examples. Seven year-old Margo arrived at a hospital ER with severe stomach pains. After an X-ray, she was diagnosed with ileus, a general malfunctioning of the gastrointestinal tract. She was discharged. Her mother brought her back to the ER the following day with worsened symptoms and Margo was admitted. Her condition continued to deteriorate over the next three days. No CT scan, which would have shown the cause of her intestinal problem, was ever performed. On her fourth day in the hospital, her obstructed small intestine, which was twisted shut, ruptured. She died the following day. Attorney Ed Weiner negotiated a settlement of $625,000 for her family. After undergoing a routine appendectomy, Linda continued to have extreme pain in her abdomen. She returned to the surgeon multiple times for follow up, but was told that she was healing. After suffering extensive pain for two months, Linda saw another doctor who determined that part of her appendix was still in place. Emergency surgery was needed to correct the situation. 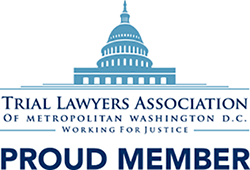 Ed Weiner was able to save Linda the stress and expense of depositions, pre-trial discovery, and court hearings by negotiating a confidential six-figure settlement. REMEMBERING A YOUNG WOMAN OF "POISE AND PURPOSE"
Laura was a junior in college -- a biology major. Her dream was to become a pediatric dentist. Only Laura’s closest friends knew that she had sickle cell disease (SCD). SCD is a blood disorder which reduces the amount of oxygen being delivered throughout the body, resulting in pain and possible organ damage for SCD patients. In the past, most sickle cell patients died early. However, patients of Laura’s generation have close to normal life expectancies due to new treatment options and research in the field of hematology (the study of the blood and blood disorders). In April and May, Laura was seen by her primary care provider for several sickle cell pain episodes, was treated with antibiotics and sent home. Her condition and her pain continued to worsen. After she was admitted to the hospital over Memorial Day weekend, Laura’s health declined, however doctor failed to request a consultation with a hematology specialist for nine days. By then, Laura’s lungs and heart weren’t functioning properly. She died on June 9 -- exactly one month short of her 20th birthday. A confidential settlement was reached shortly before trial. Cara was driving on I-81 when a tractor trailer crossed into her lane, striking her car. The truck ripped off the hood of Cara’s car and pushed her into the median wall. Cara was knocked unconscious. She suffered a severe concussion (sometimes called Traumatic Brain Injury – TBI). Cara also suffered psychological trauma from the crash. Attorneys Lawson Spivey and Ed Weiner filed her case in Federal Court. An undisclosed settlement was reached with the commercial trucking company. Mitchell was an experienced motorcyclist. While travelling on Rt. 66, he pulled off on to the shoulder to make a cell phone call. His flashers were on. The defendant driver, whose eyes had been dilated by her doctor as part of her treatment for cataracts, was “following the taillights” of the vehicle – Mitchell’s motorcycle. She drove on to the shoulder and struck Mitchell. He died in the ambulance on the way to the hospital. Ed Weiner negotiated an undisclosed settlement, which included the total amount available from insurance policies, as well as some personal assets of the defendant. Rachel was in the water with her 10 year-old niece, when she noticed that the boat they had been skiing behind was headed directly for them. She called out and waved but couldn’t get the driver’s attention. At the last minute, Rachel pushed her niece out of the boat’s path, however, Rachel’s arm was severed by the boat’s propeller. Efforts to re-attach her arm were unsuccessful. Ed Weiner negotiated a settlement on Rachel’s behalf: the insurance policy limits of $200,000, plus the house owned by driver of boat. Our client, Lana, was crossing a major intersection in a marked crosswalk with the WALK signal. The defendant was making a right hand turn at the intersection and struck Lana in the crosswalk. Lana suffered a fractured foot, which required surgery, as well as cuts and extensive bruising of her hip, ribs and elbows. 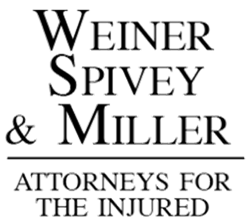 Attorneys Ed Weiner and Gene Miller negotiated a $150,000 settlement for her. Adam, a college freshman, and his girlfriend, Clare, were riding their bikes on the Washington & Old Dominion Bike Trail on a Saturday morning in the spring. The defendant’s car jumped the curb, entered on to the trail and came straight towards them. Adam pushed Clare out of the path of the car, which struck him and crushed him against a tree, killing him instantly. The defendant driver had a long history of traffic violations. Lawson Spivey negotiated a $210,000 settlement on behalf of Adam’s family. This was the maximum amount available from the insurance policies.